A severe solar storm smacked Earth with a surprisingly big geomagnetic jolt Tuesday, potentially affecting power grids and GPS tracking while pushing the colorful northern lights farther south, federal forecasters said. So far no damage has been reported. 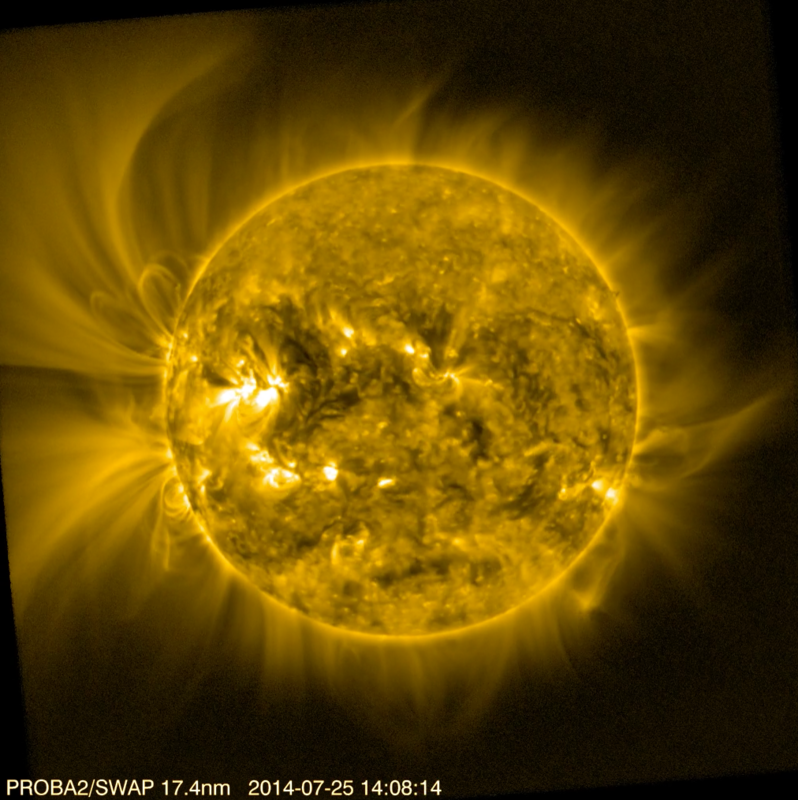 Two blasts of magnetic plasma left the sun on Sunday, combined and arrived on Earth about 15 hours earlier and much stronger than expected, said Thomas Berger, director of the Space Weather Prediction Center in Boulder, Colorado. This storm ranks a 4, called severe, on the National Oceanic and Atmospheric Administration's 1-to-5 scale for geomagnetic effects. It is the strongest solar storm to blast Earth since the fall of 2013. It's been nearly a decade since a level 5 storm, termed extreme, has hit Earth. Forecasters figured it would come late Tuesday night into Wednesday morning; instead, it arrived just before 10 a.m. EDT. They had forecast it to be a level 1. "It's significantly stronger than expected," Berger said. Forecasters had predicted a glancing blow instead of dead-on hit. Another theory is that the combination of the two storms made it worse, but it's too early to tell if that's so, he said. The storm seemed to be weakening slightly, but that may not continue, and it could last all day, officials said. It has the potential to disrupt power grids but only temporarily. It also could cause degradation of the global positioning system, so tracking maps and locators may not be as precise as normal. Often these types of storms come with bursts of radiation that can affect satellite operations, but this one has not, Berger said. But the most noticeable effect is usually considered a positive. The Aurora Borealis or northern lights that usually can be viewed only in the far north will dip south, so more people should be able to enjoy the colorful sky show. Forecasters were not sure just how far south it would be visible. Forecasters said early Tuesday, before sunrise, auroras were already seen in the northern tier of the U.S., such as Washington state, North Dakota, South Dakota, Minnesota and Wisconsin. Space Weather branch chief Brent Gordon said if the storm effects continued through Tuesday evening, there was a "very strong possibility" that the northern lights could be seen as far south as the middle United States, even Tennessee and Oklahoma. That also means much of Russia and northern Europe, as far south as central Germany and Poland, had the potential for the sky show. The sky has to be clear of clouds but the crescent moon will appear small enough it shouldn't interfere with viewing of the aurora is in the sky, Gordon said.